Drawing your pension can be daunting. Particularly as the paperwork can be confusing. At Essential IFA, we try to simplify your post retirement options by understanding your situation and matching a solution that suits your individual needs. Pension Freedom – What does it mean for you? The government recently made some changes to pension legislation, which has enabled individuals like you to be in full control of their pension. You no longer have to purchase an annuity with your pension, which was a guaranteed income for life. This means that you are able to either draw your income directly from your pension scheme or take your entire pension’s value as a lump sum. It’s completely up to you. If you choose to take your entire fund value as a lump sum, it is important to note that any figure above the 25% tax-free cash will be taxed at the highest marginal rate. Pension freedom has given the greatest level of flexibility to individuals planning their post retirement. However, with this flexibility comes responsibility, as often people underestimate how long they may live. A person at the age of 60 will have an expected lifespan of 85 years old, meaning that their pension will have to last 25 years. As qualified financial planners, we are able to provide you with expert information and advice around areas such as pension freedom, annuities and flexible drawdown. We can also advise on other post retirement options that are available to you, such as the investment options that may be suitable. We will analyse the sustainability of your chosen retirement income and advise you on how much you should be drawing from your pension. We understand that you will have aspirations of what you would like to do at retirement. This may be to go travelling or make an expensive purchase. 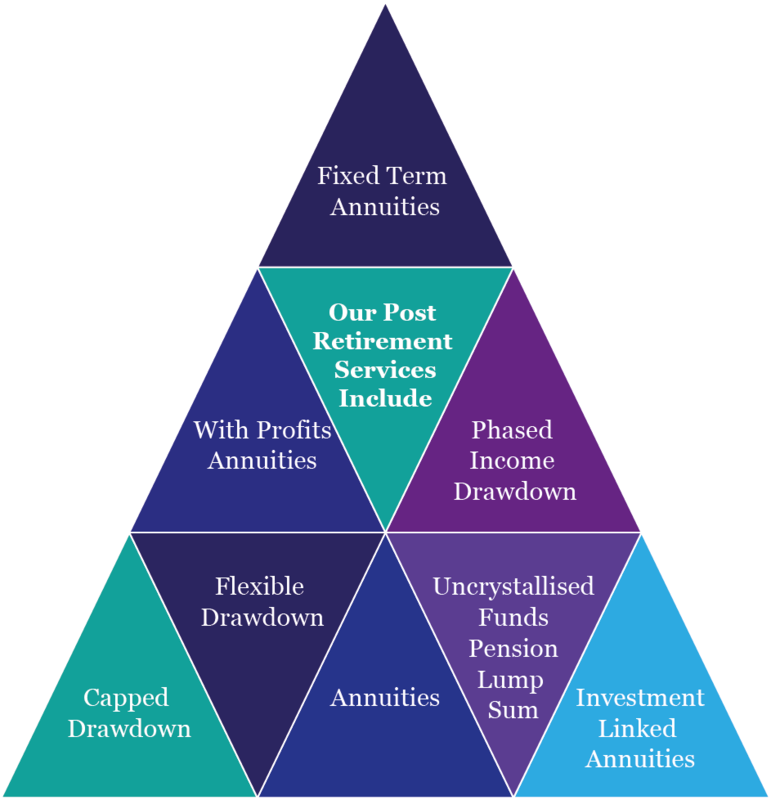 At Essential IFA, we advise you on the options you have in order to achieve these dreams, whilst preventing the risk of major capital erosion. We will help ensure your pension will last you for many years to come.